The minimum recharge plans introduced by telecom operators Bharti Airtel and Vodafone Idea (VIL) to cut low-revenue subscribers and increase the high-revenue ones has led to change in the base of customers. 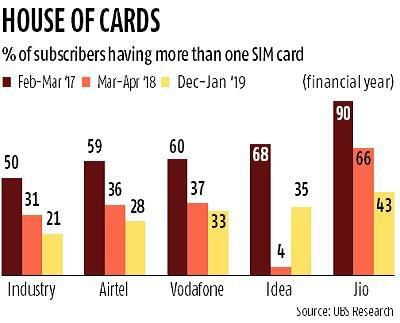 Requests for mobile number portability (MNP) in January, shows data from the Telecom Regulatory Authority of India (Trai), were at a nine-month high of 5.84 million as subscribers slowly start choosing their primary SIM. “While MNP requests have been stable in the metros, the A, B and C-circle markets have seen a sharp pick-up in MNP requests. 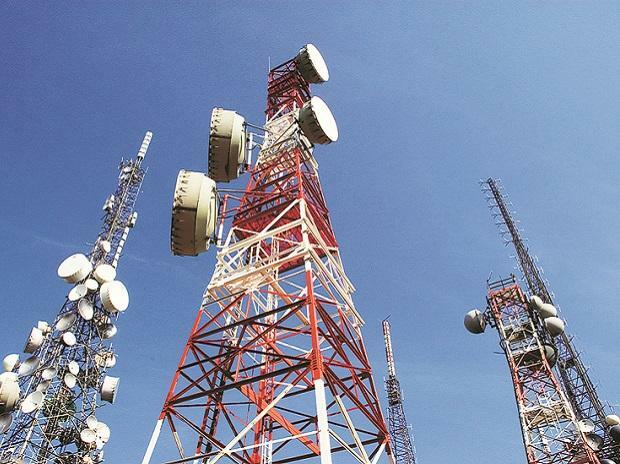 We expect MNP requests to rise further in subsequent months as more subscribers choose their primary mobile operator,” wrote Deepti Chaturvedi, research analyst at CLSA, in a note for investors. Cumulative requests for change rose from 411.98 million at the end of December to 417.82 million at the end of January, since implementation of MNP. In April 2018, 6.73 mn subscribers had so applied, around the time Reliance Jio introduced a large number of data-bundled plans. The highest number of requests are in Karnataka (39.18 million) and Tamil Nadu (35.56 million). Further, a study by UBS Evidence Labs, across 13 cities, says multi-SIM ownership has declined from 1.33 times to 1.22 times in nine months. And, while Jio still leads on customer satisfaction in the metro cities, the two older ones, Bharti Airtel and VIL, are catching up in the non-metros. Also, Jio users are increasingly using it for voice, while Airtel and VIL users are using more data, found the study. Interestingly, the Trai numbers also show the Jio active subscriber growth base as having slowed in January, a possibly slower adoption of the Jiophone. “Bharti has managed to improve its share of smartphone subscribers, with an increasing ratio of Bharti SIM owners using it as the primary SIM for data. Jio’s momentum remains strong in both the smartphone and JioPhone segment, although VIL’s share of smartphone subs is declining,” say UBS analysts Navin Killa and Amit Rustagi. The UBS survey responses also suggest multi-SIM ownership is declining, which should set the stage for gradual stabilisation of the competition and pricing environment. Trai data suggests Bharti’s 4G (fourth-generation technology) net additions have picked up in the past three to four months, Jio has maintained a steady pace and VIL continues to struggle in this regard.